"He should have even more to offer in this sphere and is taken to open his account up just 1 lb in the weights..."
12:30 - This looks a trappy event and it could pay to side with the in-form DAWNIERIVER (3) who arrives chasing a hat-trick. She saw off another recent winner on her latest success at Fakenham, briefly caught napping by that rival but having enough up her sleeve to get back on top in the closing stages. A further 4 lb rise still leaves her fairly treated on the pick of her form and she is expected to prove too strong from Hoo Baily Diva, who remains open to improvement. 13:00 - ANOTHER CRICK (7) shaped well when runner-up in a big-field handicap on his chasing debut at Chepstow last month, largely fluent over his fences (made mistake at the seventh), and keeping on well after two out to finish nearest at the finish. He should have even more to offer in this sphere and is taken to open his account up just 1 lb in the weights. Doc Carver took a step back in the right direction on chase bow behind the selection that day and is on a good mark on hurdles form if building on that. 13:30 - This looks a good opportunity for C&D scorer COMMODORE BARRY (1) to resume winning ways after his fine second in a handicap last time. Notachance is entitled to progress from his opening Bangor run and could be the danger, though Nearly Perfect is bred to do a lot better now going hurdling over a staying trip. 14:00 - CROSSPARK (8) enhanced his record when fresh when winning a handicap over fences at Uttoxeter last month by 16 lengths, landing some nice bets in the process, returning to something like his best form. 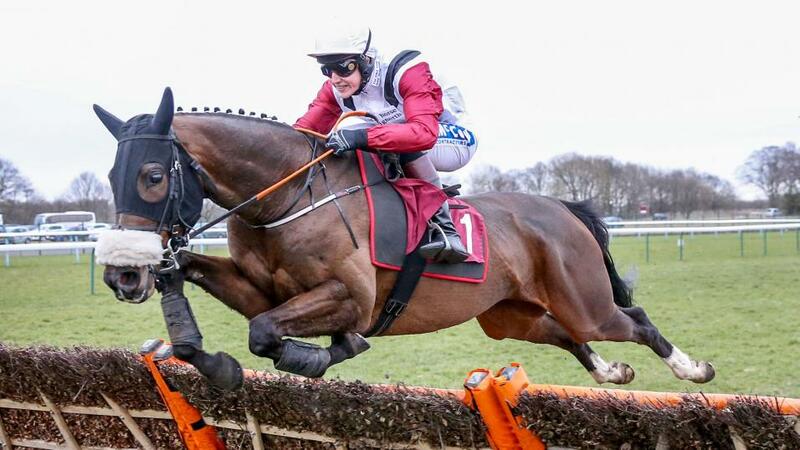 He had fallen to a lenient mark having been largely out of form the past year, and able to race from just 5 lb higher back over hurdles here, he should prove a tough nut to crack if in the same form over these smaller obstacles. Recent Wetherby winner Wemyss Point is on a roll and could prove the biggest danger. 14:30 - ROUGE VIF (10) won a bumper on debut at Ludlow last season and has progressed with each start over hurdles recently, coming on plenty for his debut over hurdles when second at Hereford three weeks ago. He raced freely forcing the pace, jumping left at times, and was headed when bumped approaching the last, but rallied well on the run-in. Rouge Vif is not yet the finished article (room for improvement in his jumping) and he is well up to winning a race of this nature. The equally promising Bold Plan looks an obvious danger. 15:00 - A fair performer at a mile and a half on the Flat, RIVIERE ARGENTEE (8) showed promise on her qualifying hurdle run at this venue in October and, on the back of wind surgery, better can be expected now tackling handicaps for the first time. Tower of Allen, Nicely Indeed and Oologist are a trio of others expected to feature. 15:30 - DAARIO NAHARIS (2) was surrounded by next-time-out winners when third on debut at Huntingdon in May so he has a lot to recommend him. Ben Buie shaped well starting out at Ascot and is open to progress, while I'm Wiser Now and Whitehotchillifili are interesting newcomers.